Baluch was charged of illegally storing ammunition and explosives, allegedly found during a search. 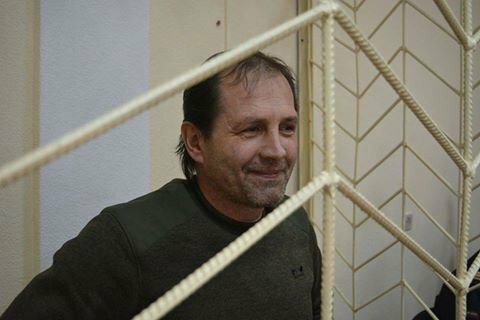 The Razdolnensky District Court of Russia-occupied Crimea sentenced Ukrainian activist Volodymyr Balukh to 3 years and 7 months in prison in a colony and a fine of 10 thousand rubles, Crimean Human Rights Group said Friday in a Facebook release. Balukh was accused of illegally storing ammunition and explosives, allegedly found in the attic of his house during a police raid. Balukh pleaded not guilty. The defense of the Ukrainian stated that the case against him was fabricated and that the verdict will be appealed against. Judge Maria Bedritskaya, reading the verdict, stated that all evidence gathered by the investigation was legal. In court, Baluch told in detail about the actual reasons for the falsification of the criminal case against him. Volodymyr Balukh is a resident of the village of Serebryanka in the Razdolnensky district of Crimea. After the occupation of the peninsula, he publicly spoke against the annexation. In protest, in March 2014 he hoisted Ukrainian national flag on the roof of his house. The flag was torn down and Balukh was charged of stealing tractor spare parts. Later on, Russian FSB claimed finding 90 cartridges and several TNTs in the attic Balukh's house. Balukh was sentenced to correctional labor.